Associations Amass Vast Quantities of Data—But Is It All Usable? Which term best describes your association’s data? If it’s pristine, then congratulations! You and your team have accomplished the near impossible. But if your data is not pristine­—and, let’s face it, most data is not—then you likely have a combination of unstructured and (in all likelihood) disorganized data. 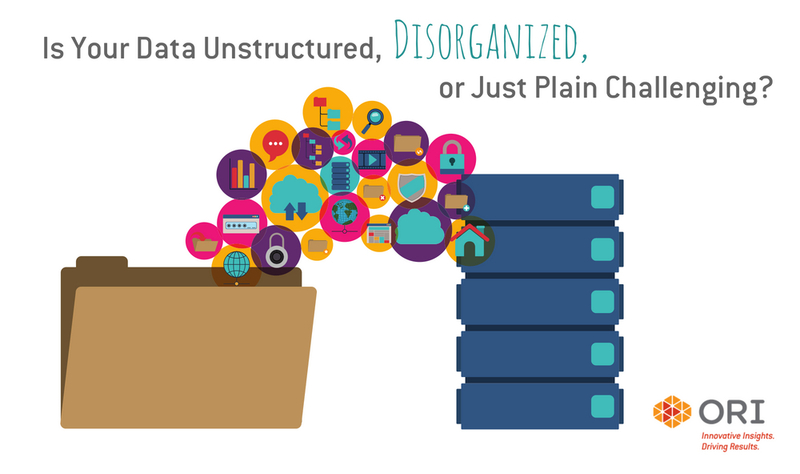 What’s the difference between unstructured and disorganized data—and what comes next? Disorganized data is common, and it’s what plagues most organizations. But through thoughtful data mining, gap filling, deduplication, and benchmarking, associations can clean up their disorganized data to improve the quality and glean valuable insights. Taking it up to the next level, by leveraging analytics and visualizations to mine unstructured data, associations can reveal member sentiment and the true motivation behind customer behaviors in order to improve engagement. Why should an already busy, overworked association executive care about unstructured or disorganized data? The answer to that question is simple and likely already well understood: High-quality, organized data is essential to making informed, data-driven decisions—on every activity, every day. There is, however, an even more pressing reason that goes well beyond the descriptive analytics that many organizations have been focused on to date. Many associations are eyeballing anticipatory intelligence and predictive analytics. If you have disorganized data, when you start assembling the ingredients for your predictive analytics work, you will find you are missing the nuances that come from actual purchases, actual event registrations, and actual dues renewal patterns. The percentage of members likely to renew upon first notice? Which members will only renew after expiring? Which members will renew when tied to a conference registration in a tier 1 venue—but not tier 2? Which members need to be wooed with a piece of postal mail to register or renew (an expensive but necessary step if you want to meet budget)? Buzzwords like predictive analytics and anticipatory intelligence may be driving decisions in the board room, but it’s important to first ensure that your data and your organization are prepared. Remember that no matter how much pressure you might get from the Board or Executive Staff to launch predictive analytics because it’s the hot new thing, be sure your data mix includes all the essential ingredients for a successful outcome. It’s never too late to get your disorganized data in order so you can begin looking to the future.